Welcome to my new legislative website. 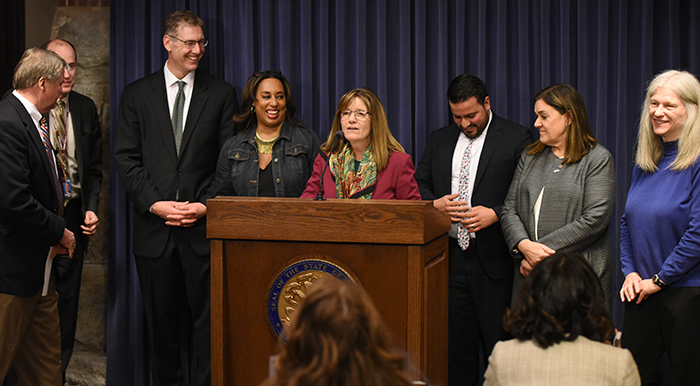 I am proud to serve as the State Senator from Illinois' 31st District, representing much of Central and Northern Lake County. I hope you find this site useful in keeping up-to-date with what is happening both in Lake County and in Springfield. Please do not hesitate to contact my office with questions or ideas on ways I can better serve you in Springfield. 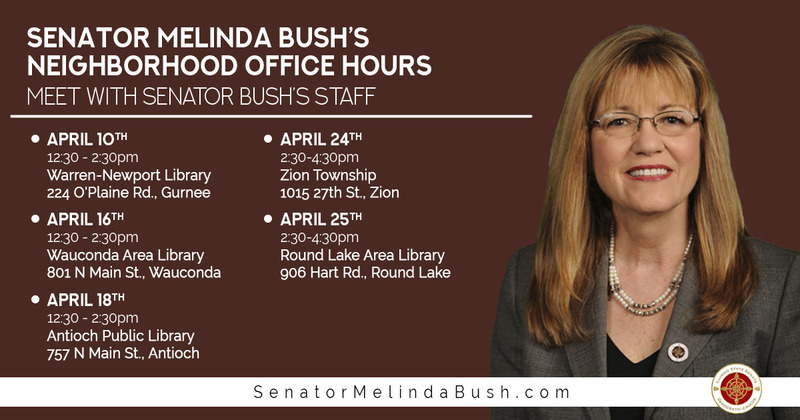 Senator Melinda Bush's staff will be holding neighborhood office hours at five locations around the district this month while Senator Bush is in Springfield. 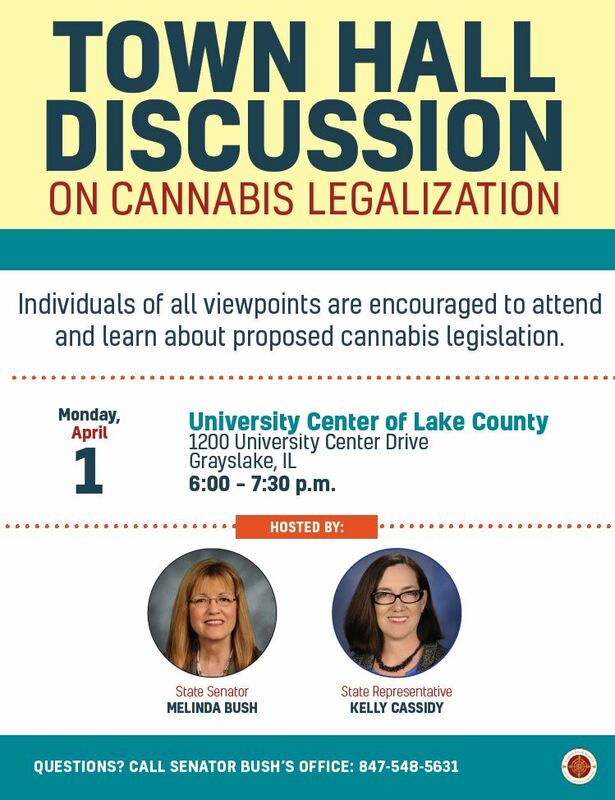 Senator Bush is hosting an informational town hall on legalizing adult use of cannabis in Illinois on Monday, April 1 from 6-7:30pm at University Center of Lake County, 1200 University Center Drive, Grayslake. Representative Kelly Cassidy, the chief sponsor of legislation that would legalize adult use of cannabis, will talk about her bill and help answer any questions you may have about the issue. This is a great opportunity for constituents to share thoughts and concerns about potential cannabis legalization. March is Women's History Month. This year's theme is Visionary Women: Champions of Peace & Nonviolence.